Fuerteventura, a Spanish island, is one of the Canary Islands, in the Atlantic Ocean off the coast of Africa. It is situated at 28°20' north, 14°00' west. 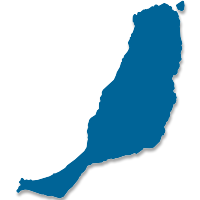 At 1,660 km² it is also the second largest of the islands. The island is 100 km long from and 31 km wide. Located just 100 kilometres off the coast of North Africa, it is the second biggest of the islands, after Tenerife, and has the longest beaches in the archipelago. The island is a paradise for sun, beach and watersports enthusiasts. The sites of interest includes Corralejo and El Jable to the north which are made up of fine sand dunes, the south is filled with long beaches and remote bays. The constant winds blowing the beaches make the paradise for windsurfing. Water skiing is common in the west coast where there are large waves. Windsurfing is common north of Corralejo or at the north coast. Vertically divided, green to the hoist and white to the fly. Not oficially appoved. Per pale and per fess. First, gules, a castle or, masoned sable, its gate and windows azure. Second, argent, lion gules, crowned, armed and langued or. Third, silver, three fesses chequy gules and or, in four rows, each one charged with a fess or. Bordure gules, with eight saltires or. Ensigned with a royal crown, open. 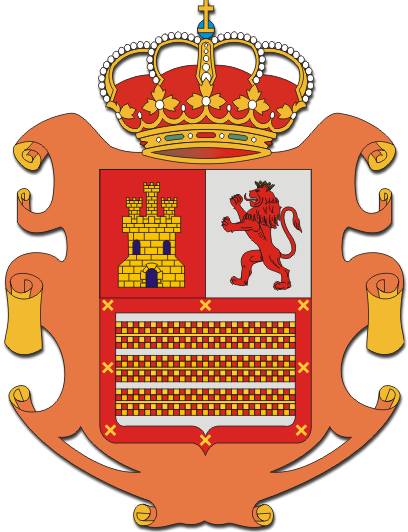 It's a variant of the coat of arms used by the provincial militias of the island. 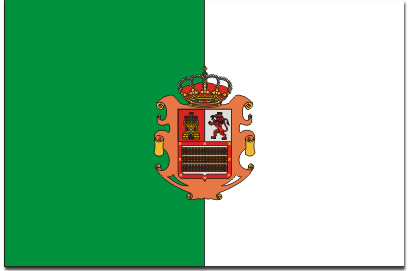 The two first quarters represent Castile and Leon, as a sign of the island's ties with the Crown, while the third quarter shows the arms of the Saavedra lineage, some of whose members were Lords of Fuerteventura. Order of 15 Oct 1998 (BOC of 11 Nov).